Registered nurse certification in Montana is issued by the Montana Board of Nursing which works towards providing optimum health facilities to the people of the state. RNs play an integral role in nursing research and educational programs, and also perform a number of non-clinical functions required for the optimal delivery of health care services. Complete state approved nursing education program. Pass the Board approved licensure examination, i.e., NCLEX-RN (National Council Licensure Examination for Registered Nurse). Provide an application fee of $100 in the form of money order or cashier’s check made payable to the “Montana Board of Nursing”. If you are applying for a temporary permit, provide additional fee of $25. Request for an official evaluation report with course-by-course details from any state approved foreign education evaluation agency such as Commission on Graduates of Foreign Nursing Schools (CGFNS) or International Education Research Foundation (IERF). Pass any of the board approved English proficiency exam. The applicants who have completed their graduation from Australia, Canada (except Quebec), Ireland, New Zealand, Tobago, Trinidad and the United Kingdom need not take this exam. Enclose an appropriate application fee of $200 via money order or cashier’s check, drawn in the name of “Montana Board of Nursing”. You may be required to pay an additional fee of $25, if you request for a temporary license. Complete graduation from a state approved nursing program. Provide evidence of certification from your original state of licensure. Submit proof of licensure from all the respective jurisdictions where you have held a professional license in the last 2 years. Complete any of the qualifying examination, such as NCLEX predictor exam or screening exam, certified by the board recognized foreign educator evaluator, CGFNS. Step 2: Carefully read all the instructions before filling the form. After completing the essential details of the form, attach it with the application. Step 6: After receiving and approving your application, the Board will make you eligible to take the exam by notifying the Pearson VUE. Step 7: You will receive an ATT (Authorization to Test) notification from the testing vendor. 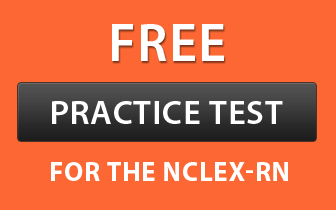 Step 8: Schedule and pass the NCLEX-RN exam. Step 9: The Candidate Performance Report (CPR) will be sent to the Board. If you have received a passing score, the license will be issued. If you have failed, you will have to wait for 45 days to retake the exam. Step 2: Have a look at the information provided on the application form. After completing the details, enclose the form with the endorsement application. Step 4: Submit the application form with all the essential documents to the Montana Board office address mentioned above. (Refer Step 5 of procedure to obtain RN license by examination). All nursing licenses in Montana expire on December 31st of every even-numbered year. A fee of $100 is charged on every renewal. All candidates are required to complete at least twenty-four contact hours of CE (continuing education) in the specified period of two years. Online at: https://ebiz.mt.gov/pol/ Submit the renewal fee with the help of a credit card or e-check. By mail: Download the application using this link – http://bsd.dli.mt.gov/license/bsd_boards/nur_board/pdf/RN_LPN_renew_2012.pdfSubmit the completed form to the Board office address. Note- Read the instructions mentioned in the form before filling it. All applicants who wish to reactivate their inactive license may use the following link to download the reactivation form. Provide application fee of $50 to reactivate the license to an active status. Submit the completed application by mail or in-person to the address mentioned on the top of the reactivation form. www.nursys.com – Open this link and click on “Search Quick Confirm”. You can search for the license by providing your name or license number.